Jammu, Mar 7: At least 28 people were injured, five stated to be critical, in an explosion near the main bus stand in Jammu on Thursday noon. A grenade blast rocked the winter capital of the state in the afternoon at bus stand outside the State Road Transport Corporation bus, police sources said. There was total chaos and panic after the explosion as people ran to safety. A senior police official here told UNI that 28 civilians have got injured in the grenade blast adding that five of them critically. “Some unidentified men this afternoon lobbed a grenade at General Bus Stand here in which 28 persons suffered injuries,” said a police official adding that those who sustained splinter injuries have been evacuated to the hospital for treatment. Meanwhile Chief Secretary BVR Subramanium, Advisor to Governor K Vijay Kumar, Divisional Commissioner Jammu, Sanjeev Verma, IGP Jammu Manish Kumar Sinha also rushed to the spot. The area however, was cordoned and the dog squads were also pressed into service. The security in the winter capital has been enhanced by raising check points at many points. Pertinent to mention here that JKLF Chief Yaseen Malik was also to be shifted to Central Jail, Jammu onm Thursday after PSA was slapped on him. Last year also on Dec 29 grenade blast incident took place at General Bus Stand in which no injury was reported. 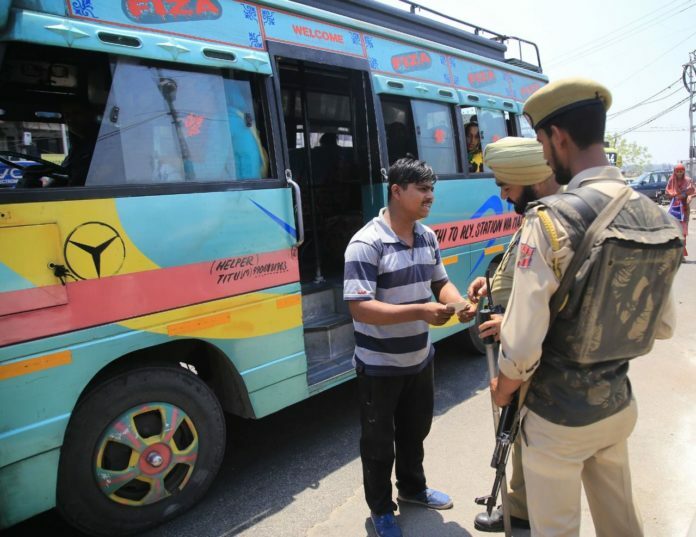 On May 25 also some unidentified persons lobbed a grenade near Petrol Pump at Bus Stand targeting a police gypsy in which three police personnel sustained injuries. Next articleSupreme Court allows Centre 10 days to apprise on Lokpal Selection Committee.